The Archive and Special Collections of Leeds Beckett University are currently held at the University’s Library, situated on our Headingley Campus. We collect, describe and preserve material for future generations while seeking to promote knowledge of, and access to this rich heritage for educational, professional and research purposes. In this guide, you can: access our Online Archive, find out about our collections, arrange a visit and learn about the history of our University. 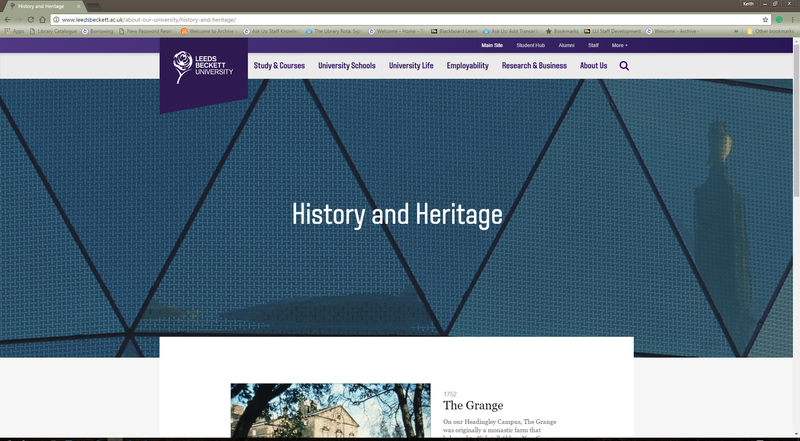 The Archive and Special Collections has helped research the University’s History and Heritage web pages making them a much richer feature. It now includes images from the archive and text written by Keith Rowntree covering 1752 to 1992. Owen Simmons was an award-winning baker holding many bread making distinctions, including being the top ranking United Kingdom bread maker of 1886. He was obsessive about bread and his book published in 1903 called The Book of Bread is one of the most curious ‘cookery’ books in our collections. 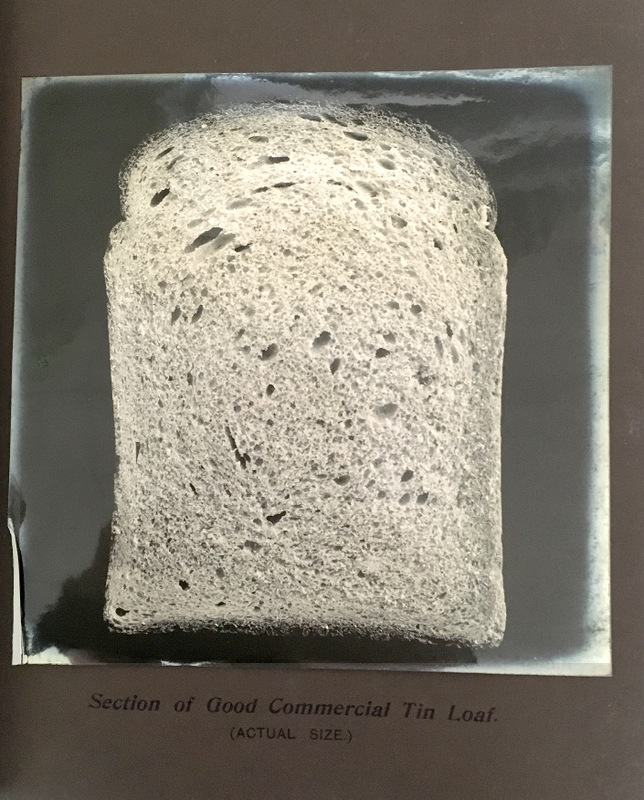 For Simmons, the book was a meticulous technical manual about bread making that included actual size bromide photographs illustrating sections of various breads. Simmons book is now regarded as an artist’s Photobook despite the photographer remaining anonymous, no doubt a journeyman employed simply to illustrate his technical manual. It was included in Parr and Badger’s survey of artist's photographic books, The Photobook: a History, Volume 1 in 2004; since its inclusion in Parr and Badger, this book has become very collectable. 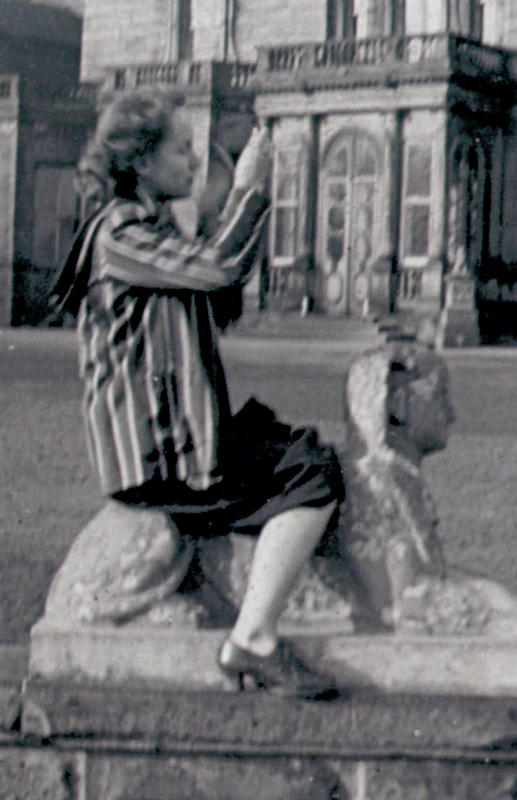 The Sphinx, seen here with student Kathleen Dickenson in 1947, was one of many statues that surrounded The Grange. Most date from the time Kirkstall Grange was the private residence of the Beckett family. Photographs of The Grange show the Sphinx in place throughout the 20th century, although around the 1920s it faced the other way. Anecdotal evidence suggests it may have found its way into Landscape Resource Centre, some ornamental urns that once stood near The Grange are to be found there. There is a tantalising glimpse of a sphinx-like statue depicted in an amateur painting of Kirkstall Grange dating from the 1830s. 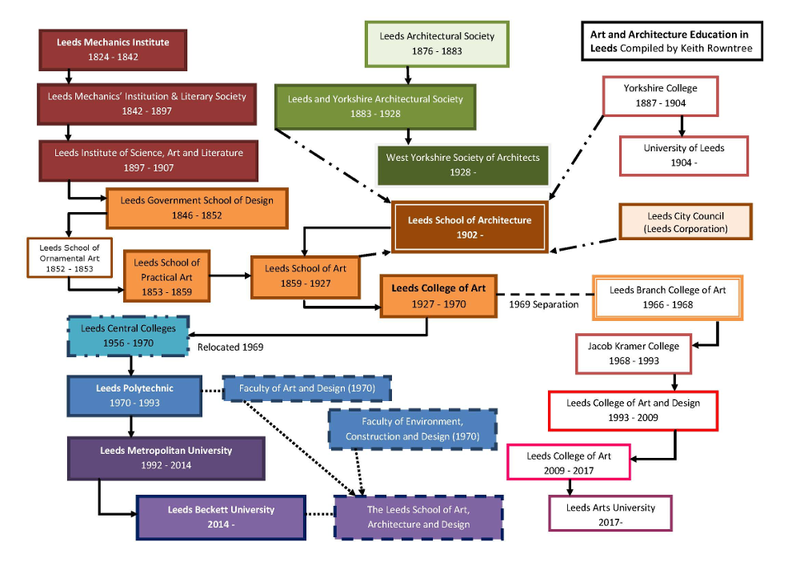 This chart represents an effort to untangle the various schools, colleges and other institutions that had a bearing on art and architecture education in Leeds from the nineteenth century through to the present day. The Archive and Special Collections at Leeds Beckett holds a collection of rare and specialist books that form the Leeds School of Architecture Library Collection. The Archive is also home to a sister collection of similar architectural books, The West Yorkshire Society of Architects Library Collection. The starting point of this chart was an attempt to understand the relationship between these two collections. The Archive also holds the Leeds College of Art Archive, an eclectic mix of material collected by staff at the College from the 1920s until the mid-1970s. The Leeds School of Architecture, formed in 1903, drew support and resources from four separate entities. The Leeds School of Art, Leeds City Council, the Yorkshire College (soon to become the University of Leeds in 1904) and the Leeds and Yorkshire Architectural Society (the forerunner of WYSA). The very first lecture was called ‘The Study of Architectural Design’ and was given on 25 September 1903 by Frederick Musto in the new school of art buildings. In the previous year the President of LYAS, T Butler-Wilson, instigated an unsuccessful attempt to establish a Chair of Architecture at the Yorkshire College but was unable to raise the £400 necessary. In 1955, Leeds University established a part-time chair and Basil Spence, who designed the new Coventry Cathedral, became the first Hoffman-Wood Professor of Architecture. As well as providing lectures at the University, he taught at the Leeds College of Art and School of Architecture. William Hoffman-Wood, a leading Leeds architect who died in 1933, provided a substantial legacy to establish a Chair at Leeds. The University could not fund a full Department of Architecture nor could it make a case for absorbing the Leeds School of Architecture, which remained with the School of Art. 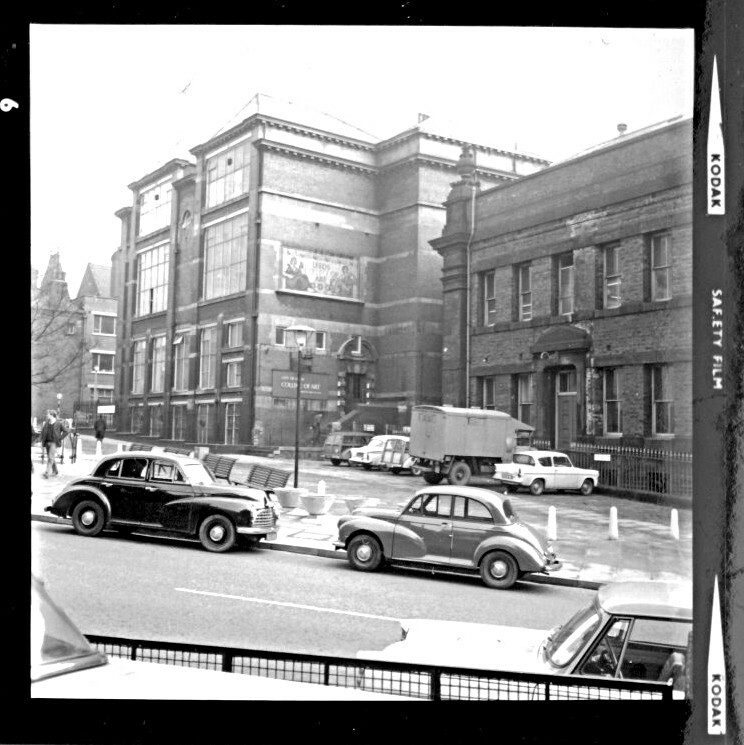 In 1968, another attempt to transfer the School of Architecture from the College of Art to Leeds University also failed. The School of Architecture, as part of Leeds College of Art, amalgamated with other Leeds Colleges in the 1960s to form the Leeds Central Colleges, which in turn formed Leeds Polytechnic in 1970. The Leeds School of Art had its origins in the Government Schools of Design, the first established in 1837 at Somerset House in London. Cities such as Birmingham, Manchester, Newcastle and Glasgow quickly applied to Somerset House to establish design schools in the early 1840s. Although the Leeds Mechanics Institution & Literary Society applied in 1842, they were rejected because the school would not be independent but part of the Institute. Eventually, the London committee relented in 1846 and a School of Design was established. From 1852, Henry Cole dominated British art education and his emphasis on practical art lead to the establishment of the Department of Practical Art of the Board of Trade. The emphasis on art produced in concert with the needs of manufacturing and industry chimed with attitudes held in Leeds illustrated by the town's repeated titling of its art school throughout the 1850s. The descriptive epithets of Leeds School of Ornamental Art and Leeds School of Practical Art were both active before the adoption of Leeds School of Art in 1859. The role model was The National Training School of Art that since 1857 was based in South Kensington. This School had its direct roots in the original 1837 Government School of Design. The London School was primarily an art teaching college, in 1896 renamed the Royal College of Art, its activities shifted from teaching towards the practice of art. The South Kensington System dominated art education in Britain until the turn of the century and the rise of municipal control of local education. This culminated in the 1902 Education Act; by 1903, the Leeds Education Committee had begun to take control of higher education in the city, including the School of Art. The subsequent twentieth-century history of the School is a fascinating illustration of how British art education developed. These developments are illustrated by a comparison between the School under two of its several Principals. Haywood Rider, in the first quarter of the century, nurtured a polished legacy of the Arts and Crafts movement with an emphasis on craftsmanship, he shunned the influence of new movements in art such as Cubism and Expressionism. In 1927, the school attained college status renamed Leeds College of Art. The fundamentals of teaching at the College changed little. However, the needs of artists in post-war Britain was changing and Principal Edward Pullee gradually pursued a more open style of teaching culminating in his appointment of Harry Thubron. Thubron’s contributions to the Basic Design course puts Leeds at the forefront of art education practice and can be seen as the catalyst for later work produced under Eric Taylor, Eric Atkinson, Jeff Nuttall and Willy Tirr, to name but a few of the remarkable artists at Leeds in the mid to late twentieth-century. Perhaps one of the most significant events to occur at the original Leeds College of Art was the split between its Main College providing training for Diploma Courses in Art and Design and Branch College catering for vocational and pre Diploma Courses. The enforced separation caused consternation among staff in both parts of the College. The two elements have now developed into separate institutions, the former now Leeds School of Art, Design and Architecture at Leeds Beckett University and the latter now Leeds Arts University. 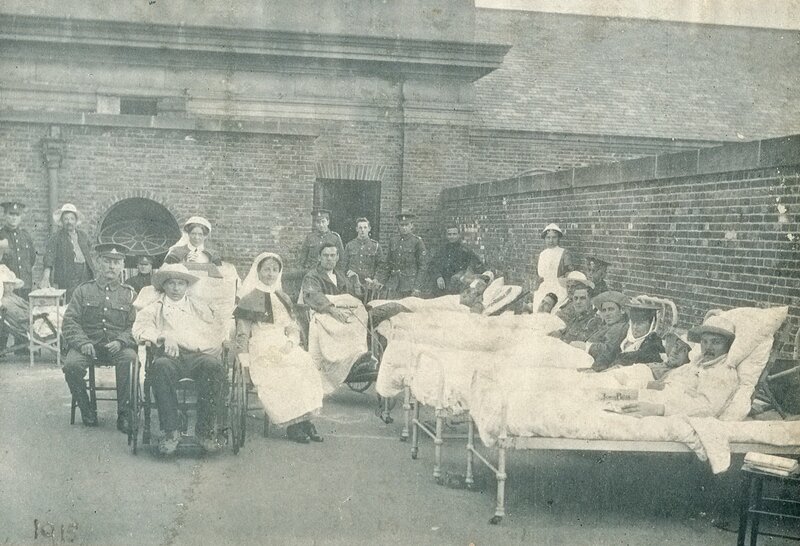 In 1914 the purpose-built college buildings of Leeds Training College were converted into a military hospital, designated the 2nd Northern General Hospital. It was one of many Territorial Force Hospitals spread across the country created in anticipation of the causalities. From its inception, until the last wards closed in 1927 there were conservative estimates that Beckett Park Hospital admitted 57,200 cases, performed 11,694 surgical procedures and witnessed 226 men die within its walls. The most visible monuments of that war are the original college buildings, outwardly little changed during the last 100 years, including the James Graham Building that houses the City of Leeds Training College war memorial. Have you forgotten yet?... Look up, and swear by the green of spring that you’ll never forget. 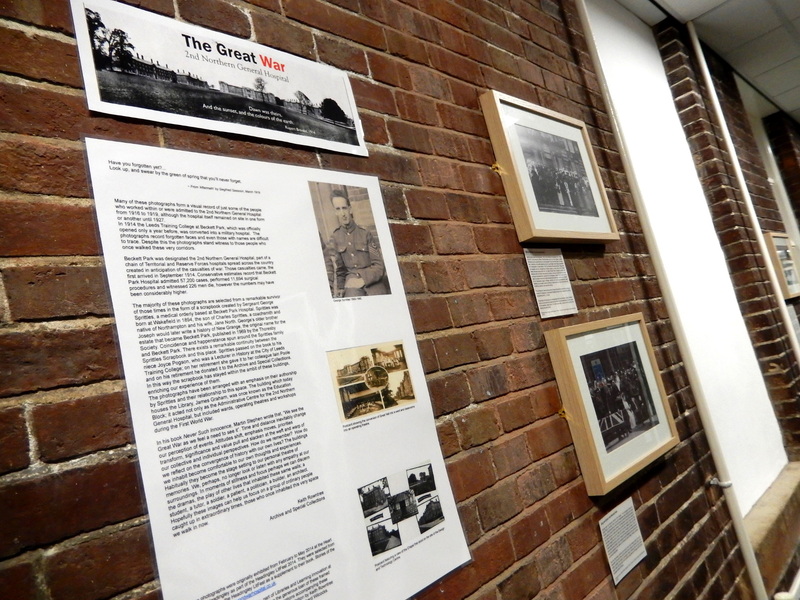 Many of the photographs in this exhibition form a visual record of just some of the people who worked at or became patients of the 2nd Northern General Hospital from 1916 to 1919, although the hospital itself remained on site in one form or another until 1927. In 1914 the Leeds Training College at Beckett Park, which had officially opened only a year before, was converted into a military hospital. The photographs record forgotten faces and even those with names are difficult to trace. Despite this, the photographs stand witness to those people who once walked these very corridors. Beckett Park was designated the 2nd Northern General Hospital, part of a chain of Territorial and Reserve Forces hospitals spread across the country created in anticipation of the casualties of war. Those casualties came, the first arrived in September 1914. Conservative estimates record that Beckett Park Hospital admitted 57,200 cases, performed 11,694 surgical procedures and witnessed 226 men die, however the numbers may have been considerably higher. The majority of these photographs are selected from a remarkable survivor of those times in the form of a scrapbook created by Sergeant George Sprittles, a medical orderly based at Beckett Park Hospital. Sprittles was born at Wakefield in 1894, the son of Charles Sprittles, a coach smith and native of Northampton and his wife, Jane North. George’s older brother Joseph would later write a history of New Grange, the original name for the estate that became Beckett Park, published in 1969 by the Thoresby Society. Coincidence and happenstance spun around the Sprittles family and Beckett Park. There exists a remarkable continuity between the Sprittles Scrapbook and this place. Sprittles passed on the book to his niece Joyce Pogson, who was a Lecturer in History at the City of Leeds Training College; on her retirement, she gave it to her colleague Iain Poole and on his retirement, he donated it to the Archive and Special Collections. In this way, the scrapbook has stayed within the ambit of these buildings, enriching our experience of them. Attitudes shift, emphasis moves, priorities transform, significance and value pull and slacken at the weft and warp of our collective and individual perspectives. How do we remember? The photographs have been arranged with an emphasis on their authorship by Sprittles and their relationship to this space. The building which today houses the Library, James Graham, was once known as the Education Block; it acted not only as the Administrative Centre for the 2nd Northern General Hospital, but included wards, operating theatres and workshops during the First World War. In his book Never Such Innocence, Martin Stephen wrote: We see the Great War as we feel a need to see it. Time and distance inevitably change our perception of events. Attitudes shift, emphasis moves, priorities transform, significance and value pull and slacken at the weft and warp of our collective and individual perspectives. How do we remember? How do we reflect on the convergence of history with our own lives? The buildings we inhabit become comfortable to our own thoughts and experiences. Habitually they become the stage setting to our personal theatre of memories. We, perhaps, no longer look or listen with any empathy at our surroundings. In moments of stillness and focus perhaps we can discern the dramas, the play of other lives that inhabited these same walls; a student, a tutor, a soldier, a patient, a politician, a builder, an architect. Hopefully these images can help us focus on a group of ordinary people caught up in extraordinary times, those who once inhabited this very space we walk in now. Dawn was theirs, And the sunset, and the colours of the earth. IV: The Dead by Rupert Brooke, 1914. Not a great deal is known for certain about Sister Batty although judging from her uniform she was a qualified Territorial Force Nursing Service Nursing Sister. 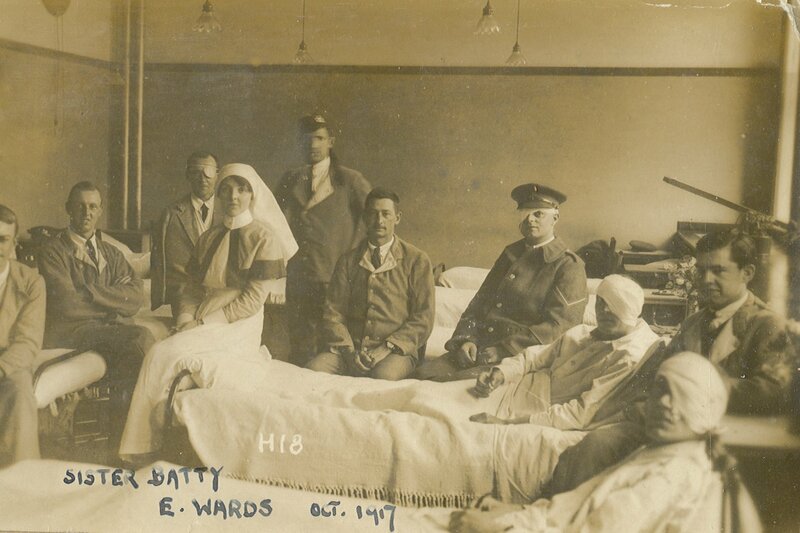 Research suggests that Batty may be Edith Batty, a Sister in the Territorial Army Nursing Service (the name changed in 1920) who married in Leeds, Walter Challis Bousfield who was originally from Middlesex. She was born 1889 in Leeds, her parents were James Batty, a Fire Insurance Clerk, and his wife Emily. In 1923 Batty’s parents lived at 22 Brudenell Road, Hyde Park, Leeds. 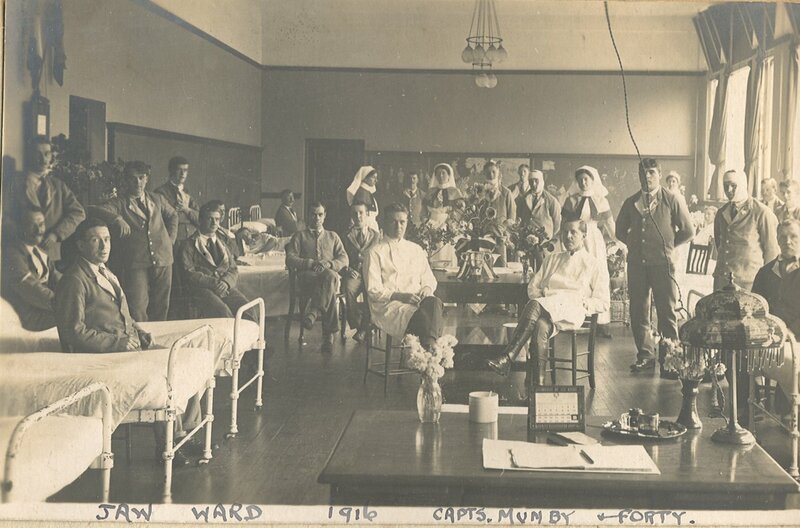 This ward appears to be for soldiers with eye injuries which would have come under the auspices of the Face and Jaw injuries department. Beckett Park Hospital developed into a centre for face and jaw reconstruction or maxillofacial surgery and would have employed ophthalmic surgeons such as Arthur Longley Whitehead. Whitehead was born 1868 in Leeds, his father Alfred was a cloth manufacturer. He was educated at the Leeds Grammar School, at the Yorkshire College, and at the Leeds School of Medicine and acted as House Surgeon to Sir Arthur Mayo Robson at Leeds General Infirmary. He died in 1930. This photograph was taken in June 1917, the location is not specified but may be on the main drive from Otley Road up through Beckett Park. At that time the Beckett Park housing estate had not been built. Motorised ambulances increasingly took over from the horse drawn variety, speed being an obvious advantage. 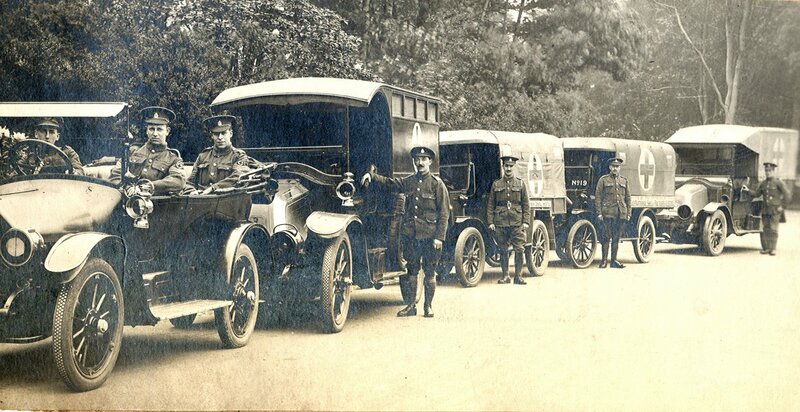 At first cars were donated by the gentry and well off, sometimes sending their chauffeur or driver, these vehicles were fitted ad hoc with ambulance bodies. Later the Red Cross laid down some specifications which resulted in more efficient standards for maintenance and repair. The first convoy of wounded, most caught up in the fighting at Mons, arrived at Leeds Midland Station on 17 September 1914. A Civic Welcome was organised by the then Lord Mayor of Leeds, Sir Edward Brotherton. Well wishers lined City Square and the streets of Leeds, throwing tobacco and cigarettes to the wounded men. In time a fleet of 25 ambulances, established by public contributions, were assigned to ferry the wounded to and from Beckett Park and other hospitals in the district. Captain William Maxwell Munby sits on the left near the central table and Captain Arthur Alan Forty on the right. Both were pioneers in the treatment of facial injuries of which there were many during the First World War. Munby’s speciality was in face reconstruction or maxillofacial surgery, Forty was a dental surgeon. In the background several patients can be seen with bandaged faces. Together with colleague Captain Alan Douglas Edward Shefford, also a dental surgeon, they published an account of their findings and progress in “The British Journal of Surgery”,( v.6, 1918). On the table in the foreground is a desk calendar from which can be discerned that this photograph was taken on Saturday 24 June 1916, the opening day of the artillery bombardment for the Battle of the Somme. 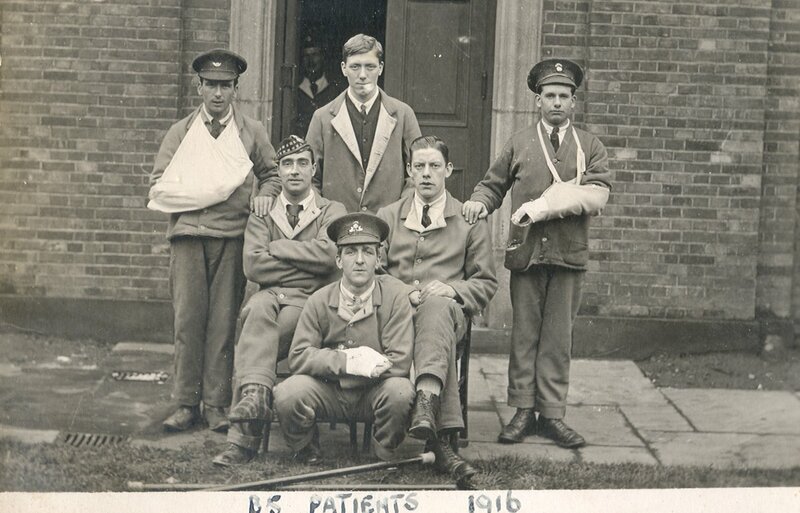 Soldiers recovering in hospital were required to wear a special uniform. This was a blue flannelette jacket with white lining, open at the neck and with a red tie. The soldier would wear his own service cap with his regimental insignia, as illustrated by four of the soldiers in this photograph. The uniform featured in popular song including the 1915 song “Good-bye-ee” composed by R. P. Weston and Bert Lee; “At the hospital at Kew, The convalescents, dressed in blue...” There are numerous variations to the lines but they show how the uniform was rooted in public consciousness. Various names were attached to the uniform including convalescent blues, hospital blues, hospital suit and invalid uniform, it was used well into the 1960s by military hospitals. Tears by Edward Thomas, 1915. One treatment thought to be effective especially for those soldiers with suppurating wounds, such as burns, was fresh air. Fresh air was considered particularly effective at dissipating any lingering general infections. The idea of sunshine being an aid to recovery was also prevalent, although the role of Vitamin D had not been established at that time. This was the same sentiment that made spas popular and for the wealthy convalescing in resorts in Switzerland where the pure air was thought to speed up recovery. This photograph is one of several cut out of an unidentified magazine and pasted by Sprittles into his scrapbook. It is difficult to pinpoint where exactly this ward was situated but it is evidently on the roof of James Graham and probably shows what is now the southern end of the east corridor on the second floor. During the 1960s extensions were built on the east and west ends of the building. Royalty were frequent visitors to the Hospital. This photograph taken on 31st May 1918 shows the Royal Party on the still recognisable steps leading into James Graham, directly behind them is the ornate front entrance. A pensive looking Queen Mary is surrounded by a sea of military uniforms. The King stands in front of her waiting for the medal ceremony to begin while officers arrange the medals on the Union Flag clad table, medals can just be made out on the table. Between 5000 and 6000 guests thronged the Acre in front of the building, including hundreds of men in hospital blues and nurses in uniform. Among the many awards and medals bestowed were three Victoria Crosses, one to Sergeant Harold Whitfield and two posthumously that were presented to the widows of Lieutenant-Colonel William Herbert Anderson and Private Walter Mills. 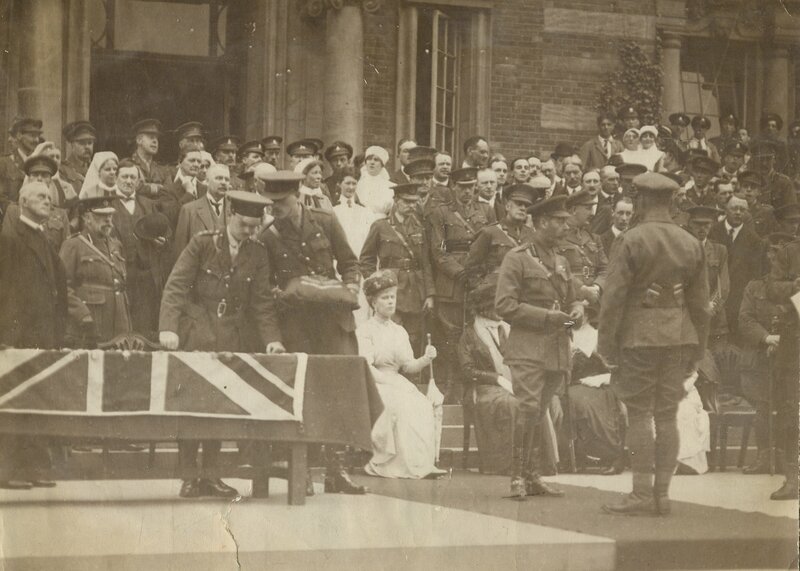 The King had made a discreet and low key visit to the Hospital earlier on the 27 September 1915 which was his first official visit to Leeds as monarch. Other royal visitors included The Duke of Connaught, Queen Victoria’s third son who visited twice in May 1917 and June 1918, the former King Manuel of Portugal and the Grand Duchess George of Russia. 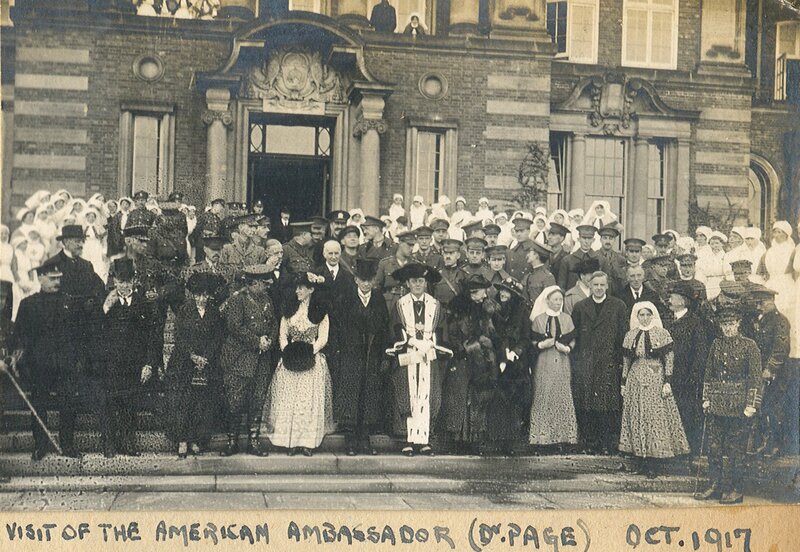 Sprittles notes under this photograph “Visit of the American Ambassador (Dr. Page) Oct 1917”. At this time the Battle of Passchendaele was at its most intense, a battle that would come to epitomise the mud and slaughter of the First World War. Dr Page, who is standing in the centre wearing a top hat, was Walter Hines Page, appointed U.S. Ambassador to Great Britain in 1913 by President Woodrow Wilson. Page was an anglophile and his championing of Britain played a crucial role in the United States eventually entering the war. He visited Beckett Park Hospital to open new extensions which included a new operating theatre, wards and workshops which saw a change of emphasis from a general to an orthopaedic hospital. Its purpose was to repair the injuries of men who might otherwise have been left disabled and crippled for life. Orthopaedic surgery, massage, electrical and mechanical treatments were followed up by so called ‘curative workshops’ where men could learn new skills such as tailoring, carpentry, boot and shoe making. The Lord Mayor of Leeds standing next to Page is Edmund George Arnold coming to the end of his Mayoralty. He was later Managing Director of the educational printing and publishing firm E. J. Arnold. 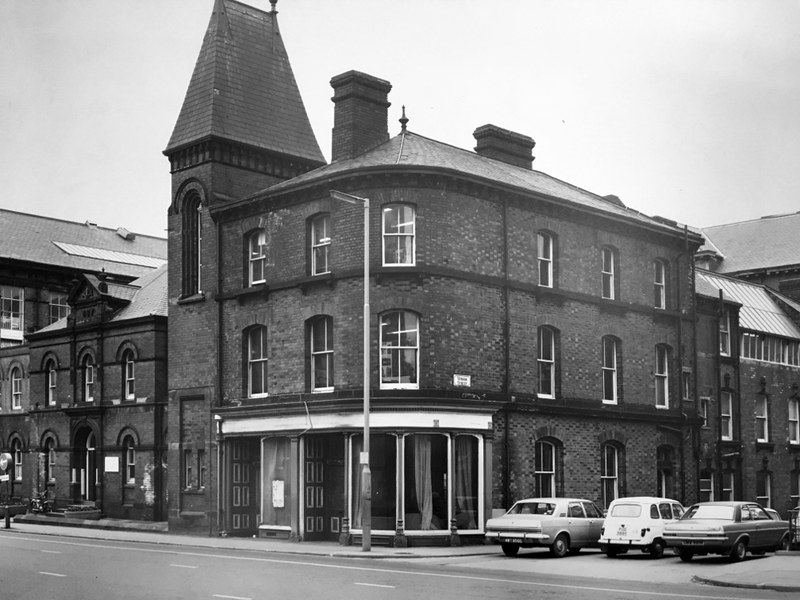 The building in the background is recognisably the front entrance to James Graham, at this time only about five years old, but already the sandstone facing shows signs of the relentless Leeds grime. It is remarkable that a century on the building has changed very little, if at all. 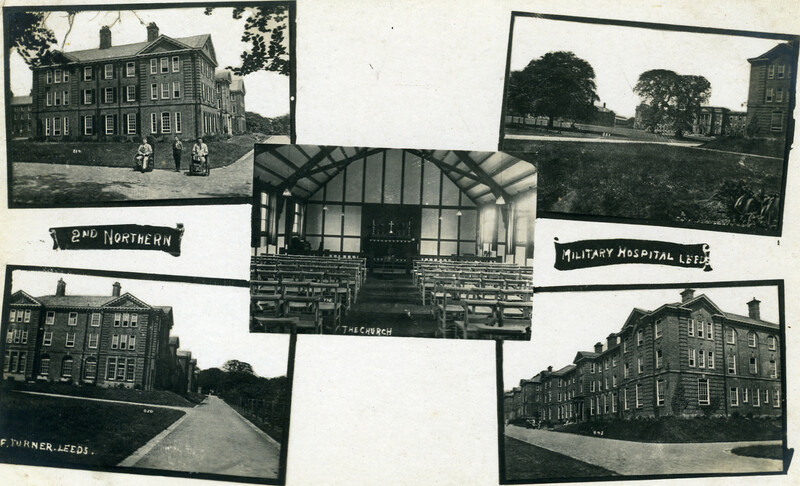 Entertainment was an important function and Beckett Park Hospital had a variety of ways in which it entertained those stationed and invalided there, including billiards, cinema and concerts. The hospital had its own concert party, the Cheero’ Boys although on at least one photograph they are called the Cheerio’ Boys. Richard Wilcocks writes that, “A wardrobe of pierrot costumes seems to have been standard issue in hospitals for the wounded, judging from the photographs and references from all over the country”. 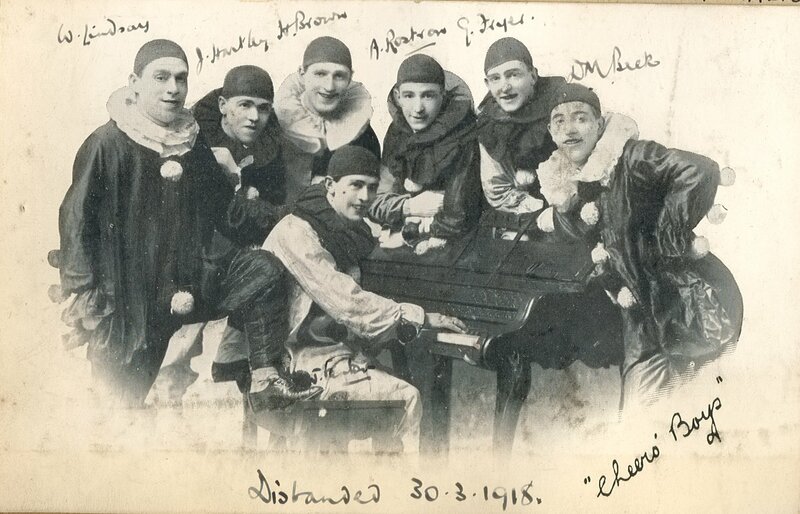 This photograph was taken when they were disbanded in 1918 when some members were shipped out to the Middle East via a camp at Blackpool. Leeds West M.P Edmund Harvey raised the question as to whether it was desirable for trained specialists such as R.A.M.C.men to be transferred to the Infantry, the War Office maintained that they were making the best use of available man-power to prosecute the War. Other photographs in the scrapbook show George Fryer, H. Brown and A. Rostron, original members of the Cheero’ Boys, in Palestine and Egypt in 1918. A Chapel and Recreation Hall were built on the site now occupied by the Design and Technology Block to the west of James Graham. The Grand Duchess George of Russia opened the large YMCA recreation hall, known as the ‘YM’ in 1915, it was equipped with cinema apparatus and many films were shown sometimes even before they were on general release in nearby Leeds. Other recreations included concerts, no doubt featuring the Cheero’ Boys, lectures and billiards. In the back of a pupil teacher notebook is a strange page dealing with cryptography. It is not the sort of subject modern sensibilities think of as a legitimate subject of study in schools. The notebook is called Examinations for a Pupil Teachers from the 'Schoolmaster'. The Pupil teacher system was used to train teachers, taking the brightest pupils leaving Elementary School usually at thirteen up to eighteen years old. they received instruction from an older teacher or headmaster when they were not teaching the younger children. At eighteen the pupil teachers sat an examination, the notebook probably has something to do with this phase of their education. It is not clear who wrote out the notes whether a supervising teacher or an examinee. the only clue to his or her identity is the initials W. H. marked on the fore edge of the notebook. Most of the subjects covered in the book are what one would expect, English Grammar, Latin, History and Geography. 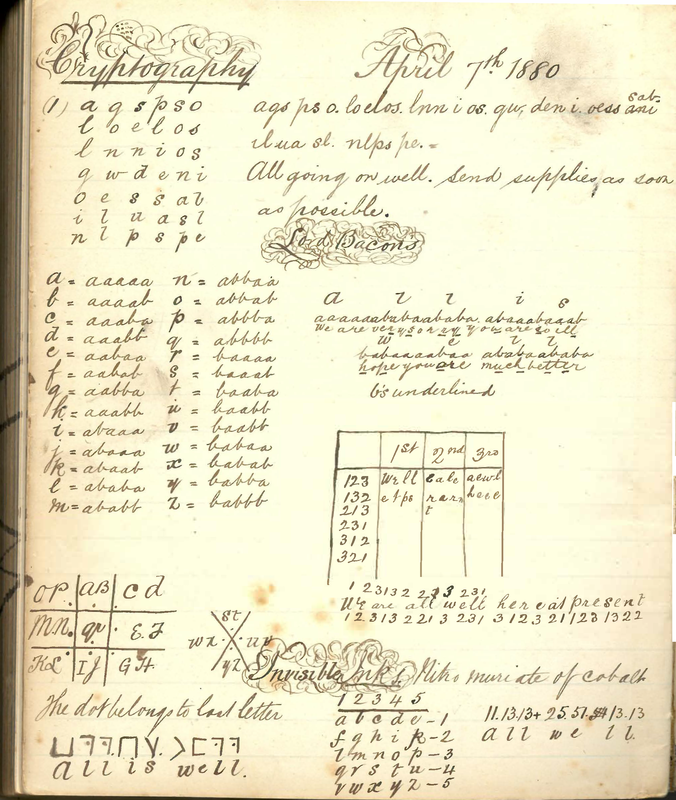 The Cryptography page is at the very back of the book and may suggest that it was a personal interest of the writer. In Leeds, the Pupil-Teacher system petered out in the early twentieth century but was still strong enough for purpose-built accommodation the Leeds Pupil Teachers Centre (now Thoresby House) to be built on Great George Street in 1901. A series of government measures ensured more rigorous standards were put in place. 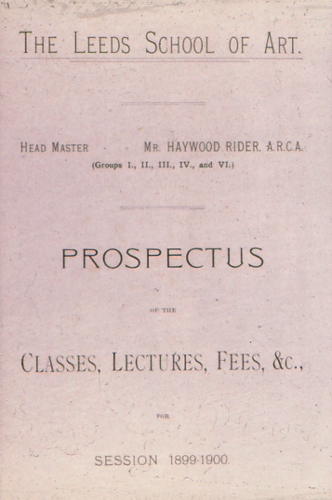 In 1907 Leeds opened its Teacher Training College that in effect superseded the Pupil Teacher System. How to find a book. The Online Archive is a catalogue of our holdings. We use AtoM (Access to Memory) archival description software to make this catalogue available. This Online Archive is a developing resource and it will take time for all our holdings to be described. To view our progress please check our Online Archive. If you would like further information contact Archives@leedsbeckett.ac.uk. Before the Internet and WWW, even before the ubiquitous 35mm slide, artists and architects were taught using the lantern or glass slide as a visual aid. As part of the Leeds School of Architecture Library Collection, the archive holds a collection of glass slides covering a swathe of architectural forms and subjects. In 1903, Leeds School of Art opened its new premises on Vernon Street. In the same year ‘an approximation of a School of Architecture’ was founded based on existing classes provided by the Yorkshire College and Leeds Institute with backing from the Leeds and Yorkshire Architectural Society. The very first lecture was called ‘The Study of Architectural Design’ and was given on 25 September 1903 by Frederick Musto in the new school of art buildings. Around the same time, Musto organised the procurement of architectural glass slides for teaching purposes, this was no doubt connected to his work as Honorary Librarian of the Architectural Society. The University’s Archive and Special Collection also hold the Society's Library that is now known as the West Yorkshire Society of Architects Library Collection. The Discobolus of Myron was the image chosen to be the logo of Carnegie College of Physical Training in the 1930s. 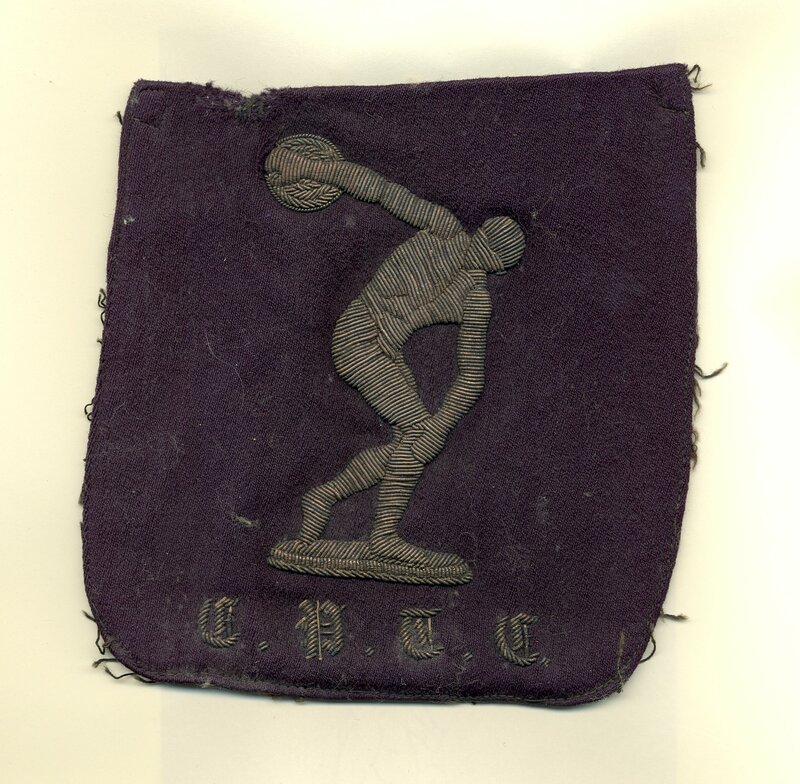 This image is a lapel badge from a Carnegie blazer belonging to Ambrose Congdon a student in 1936/7. 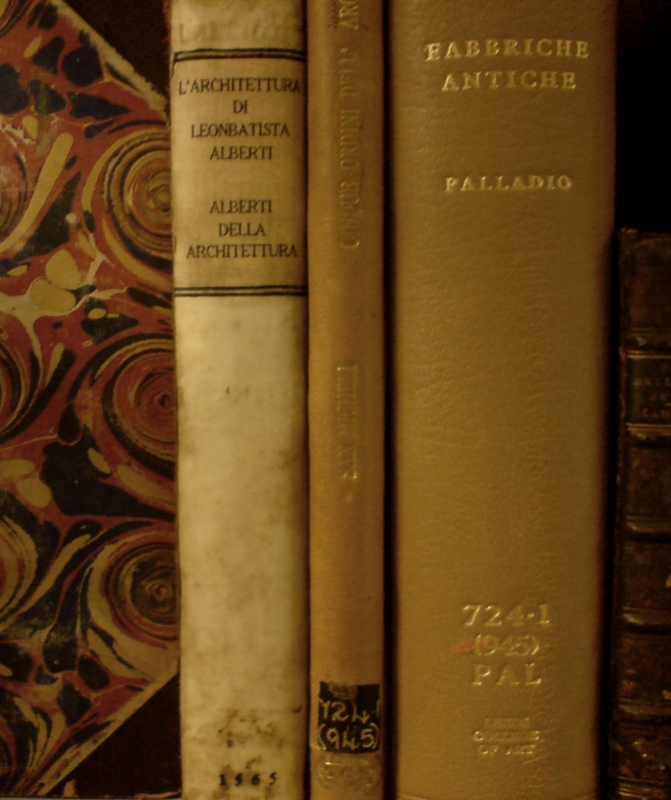 We have a small but significant number of rare books in our collections covering topics such as architecture, art and design, literature and history. Some can trace their history back to the Library of the Leeds Mechanics Institute.